In the United States today much concern has been levied back-and-forth about dual diagnosis addiction treatment and the rising need for it. If you are seeking help for yourself or for a loved one struggling with addiction, an important thing to consider is whether or not there might also be certain mental troubles, spiritual difficulties, and psychological worries that also need to be addressed in treatment. Studies show that for someone who also suffers from an array of personal or mental problems that traditional rehabilitation will not necessarily work. This is because of the dual nature of addiction. Addiction is not simply a physical beast. It’s actually more so a mental problem and difficulty than it is a physical one. This is why a dual diagnosis addiction treatment program is particularly helpful because it is able to address both the physical aspect of addiction and the mental problems and difficulties that are going along with it too. Addiction and the simple factor of substance abuse itself create mental trauma and problems of its own kind. Have you ever noticed that, prior to addiction, an individual who is abusing drugs and alcohol didn’t display nearly the types or severity of mental problems and difficulties that they did when they were abusing substances? 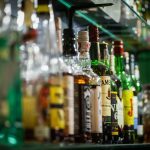 Abusing drugs and alcohol exacerbate and strongly worsen mental troubles that might already be extant, and it most definitely creates some of its own. There is no doubt about it, substance abuse has set itself upon the nation like a plague and is now much more severe ways than it ever was before in history. Now, the need for dual diagnosis treatment centers is much more insistent than it ever was before. In fact, studies show that the vast majority of those addicted to drugs and alcohol in the United States today experience both physical drug problems and mental issues and difficulties that sometimes started before they were addicted and were simply exacerbated by the addiction. If you feel that you or your loved one meets these criteria when it comes to the substance abuse problem then a dual diagnosis program might be right for you or your loved one. Dual diagnosis facilities are fully equipped to be able to help individuals with such troubles. At a dual diagnosis center for addiction, dependence, and psychological difficulties one will receive a very full and complete treatment program that is extensive and involved. It will commence with a thorough evaluation by licensed medical practitioners and specialists alike. In this initial evaluation, one will get a good understanding of exactly what needs to be addressed and handled in rehabilitation and what does not. A good dual diagnosis program will have the understanding that simply getting rid of the drug addiction problem itself will also as result resolve almost all if not all of the mental problems that go along with it. This does not mean though that these mental problems can simply be ignored and not addressed over the course of treatment because they definitely do, they are just addressed later on. After the evaluation is complete, the patient will then go into the detoxification part of the program. This section is all about relieving the body of the chemical effects of drug and alcohol addiction. Whether a rehabilitation center is equipped with dual diagnosis or not, this is always the first step to any rehab program. It is the first step because one simply cannot go about winning the battle against drugs alcohol addiction if he or she is still heavily dependent upon whatever substances here she was addicted to when he or she came into the program. Detoxification is so necessary that no rehabilitation program is even allowed to accept individuals into the rehabilitation side of the program until they are fully detoxed. It’s actually quite dangerous for them to enter rehabilitation without first being detoxed. Detoxification itself is actually quite short and you’ll find that it goes by quickly and it is comfortable and pleasant as possible. Rehabilitation itself is much longer and more involved because it essentially involves addressing all of the mental impulses and desires to use and abuse drugs and alcohol and also whatever mental illnesses and difficulties might have come about along the way. Rehabilitation is especially effective in a dual diagnosis centers because it incorporates a wide the plethora of different counseling methods and modalities. There is no one-size-fits-all method of treatment, and any program that tries to apply that concept is not delivering an effective and involved enough of a program. It is of the utmost importance that one gets a strong variety of counseling, one-on-one therapy, Moral Reconation Therapy, Cognitive Behavioral Therapy, relapse prevention, coping strategies, life skills, electives, outdoor activities, responsibility preparedness, and other types of techniques. All of these in their own way address not only the mental aspects of addiction itself but also whatever mental problems the individual felt that he or she was struggling with when he or she decided to enter the dual diagnosis program. After rehabilitation is complete, one transfers into aftercare. Aftercare is a service offered by most dual diagnosis program to help individuals after they have completed treatment. 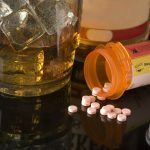 It can take years to remedy the damage done on one psyche from drug and alcohol abuse and addiction, and whatever mental troubles or problems are accrued as a result of addiction can also take years to get rid of fully. Aftercare is done on an outpatient basis and is begun upon completion of the inpatient program itself. Aftercare is highly helpful because it allows individuals to continue to work on his or her sobriety as he or she goes through normal adult life. If you are seeking help for yourself or for a loved one because of an addiction that also carries with it the whole mental side of struggles and problems then a dual diagnosis program might be the right choice. It is wise to look more seriously into this type of program as these are the best suited for aggressively and successfully handling both drug addiction and mental problems and difficulties. A lot of times addiction can seem very permanent and unstoppable when one suffers from mental conditions and drug and alcohol addiction both. People often feel as though their problems are so extensive and involved that there is simply no help nor hope for them to address and handle all of it. This is exactly what dual diagnosis rehab centers specialize in though. With dual diagnosis addiction treatment, one can finally experience true relief from all that is troubling him or her.